British Airways is one of the largest airlines in the world. As the flag carrier for the country that contains Europe’s financial capital, it makes sense that British Airways has a huge fleet and route network. And Great Britain is frequented by tons of tourists year-round, which solidifies flight demand globally. There’s also quite a bit of history to British Airways: they invented the modern lie-flat seat in business class, and used to be the chief innovator of premium-cabin travel products. However, the airline has recently fallen (far) behind compared to competitors like Emirates or Singapore Airlines. British Airways operates the most aircraft of any airline by far and performs swaps extremely often — meaning we have plenty of ground to cover in this guide. 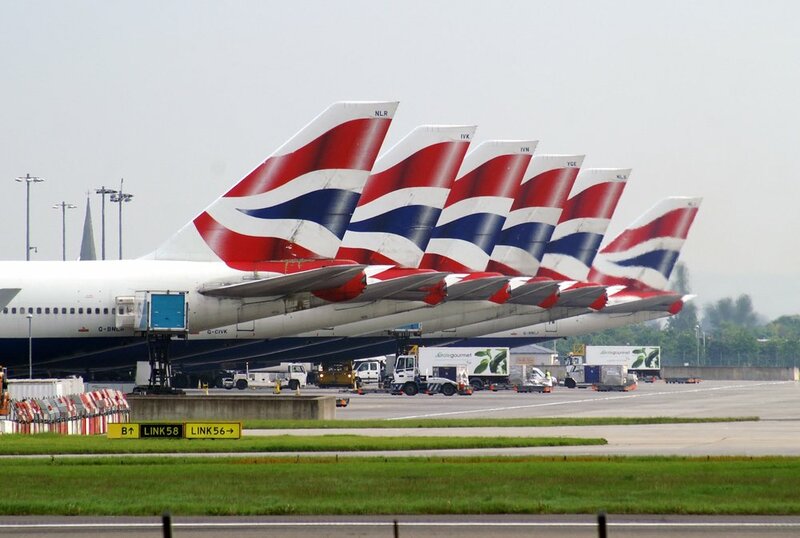 British Airways operates a total of 11 different aircraft on their flights between America and London, and that number is growing. Specifically, they will introduce a brand-new business class seat on the A350-1000 starting at the end of 2019. These seats will be their absolute best offering, featuring reverse herringbone seats with direct aisle access and a sliding door. At the moment, however, there isn’t much information about the hard product. As you can see, British Airways’ route network is deeply embedded in the U.S., with a huge supply of business and leisure travelers to serve. On top of this, each plane can have a different cabin configuration, which complicates things even more. Before we do a deep dive into the specifics, let’s talk points. If you follow British Airways, you probably know about the insane fuel surcharges levied by the airline. These fuel surcharges are in excess of $1,100-$1,800 for round-trip premium cabin award tickets. One of the ways to reduce this is to book 2 one-ways, which will lower your burden by approximately $200. Otherwise, fuel surcharges for British Airways-operated flights to/from London are a fact of life. Japan Airlines, Cathay Pacific Asia Miles, and British Airways Avios use a distance-based award chart, so the mileage cost will vary depending on your exact route. For one-way economy flights, American Airlines charges 22,500 miles during off-peak and 30,000 miles otherwise. Business class requires 57,500 miles one-way, and first class costs 85,000 miles. With British Airways first class, you can expect open-air reverse herringbone seats in a 1-2-1 configuration, as well as excellent bedding, solid food options, and great inflight Wi-Fi on a large number of flights. Their service is known to be efficient (if a bit robotic), and the amenity kit is always a great souvenir. Importantly, there are tons of scheduling options that will allow you to arrive to London well-rested. In this guide, we’ve ranked the available first class products in order from “best” to “worst” (in our opinion), starting with our first place winner: 747-400 (v3) first class. Note that the version numbers for these products correspond to the seat maps as numbered on SeatGuru. 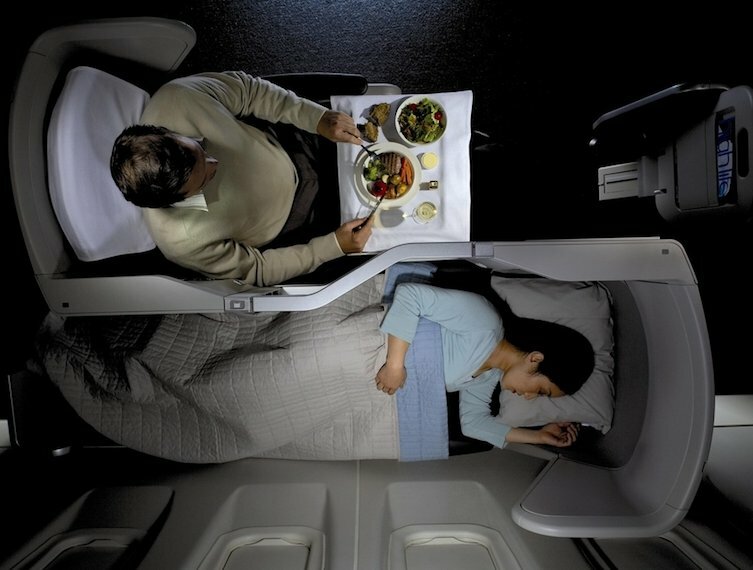 There are 14 first class seats on British Airways’ 747-400 (v3), each measuring 22″ wide and 79″ long in bed mode. All of the first class seats are located at the nose of the aircraft, which makes for a serene, private flight. Additionally, there are no lavatories located right next to any of the seats, which is a unique advantage of the 747-400 (v3). Instead, there’s a single galley located behind the last row of seats. British Airways 747-400 (v3) first class seat map. Image courtesy of seatguru.com. The most private seats are 1A and 1K, but couples may find it difficult to talk if seated there. 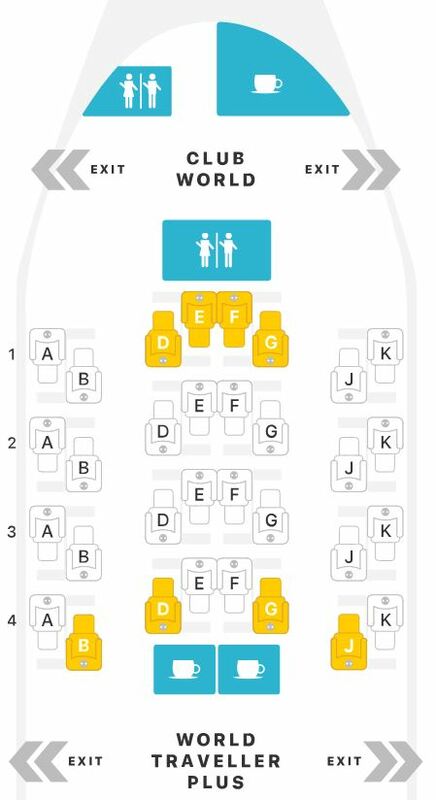 A good choice for couples seating is 4E and 4F. Our second-place winner is virtually identical to the 747-400 (v3). The seat itself is slightly smaller, measuring 78″ in bed length as opposed to 79″ on the 747-400 (v3). British Airways 747-400 (v1) first class seat map. Image courtesy of seatguru.com. The 747-400 (v2) features a similar setup as the 747-400 (v1) above. The main difference is the presence of a coat closet at the nose of the aircraft. This means that seats 1A and 1K will be less private, as there may be people retrieving their coats. Nevertheless, the 14 first class seats are arranged in a 1-2-1 configuration, each measuring 22″ wide and 78″ in bed length. British Airways 747-400 (v2) first class seat map. Image courtesy of seatguru.com. British Airways’ 747 is an iconic symbol, but the 787-9 showcases their most modern and high-tech first class product. The seats are much newer, the inflight technology is better, and climate control is superb. 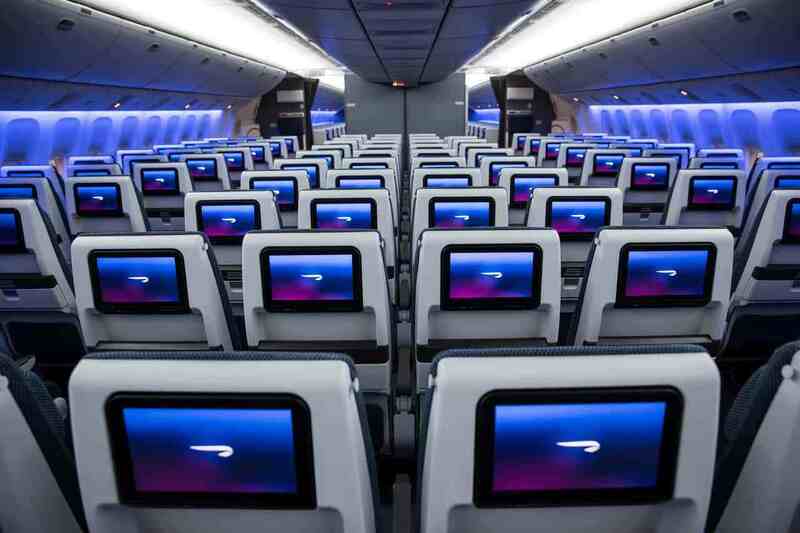 The British Airways 787-9 first class section contains 8 seats spread out across 2 rows in a 1-2-1 arrangement. Each of the 8 seats is 22″ wide and 73″ when fully lie-flat. 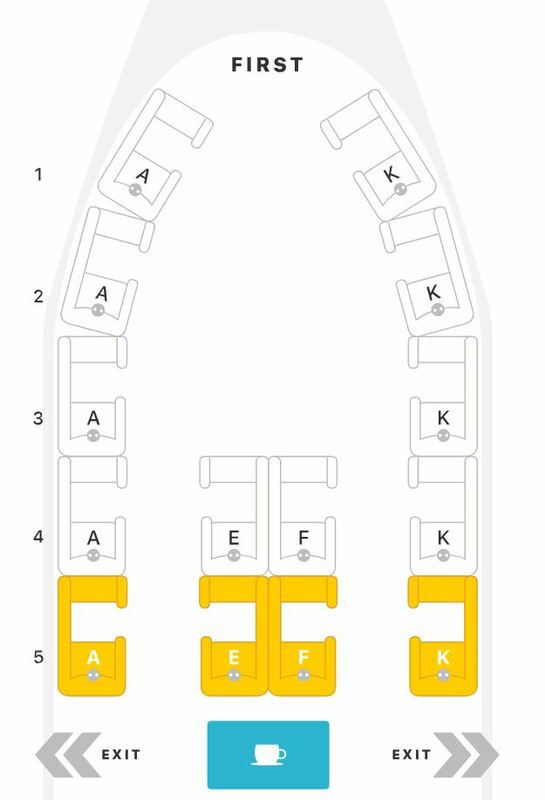 These seat dimensions are 5″-6″ shorter than the 747-400, which is a significant loss. Airplanes are typically an incredibly dry environment, but the composite material of the 787-9 preserves moisture and creates a more comfortable atmosphere for travelers. The more intimate cabin size and more comfortable cabin experience make the 787-9 one of British Airways’ best first class products. British Airways 787-9 first class seat map. Image courtesy of seatguru.com. As you can see, the lavatories are located on the left side of the aircraft, while the galleys are located in at the right side. The most private seat will be 2K, which is furthest from those facilities. 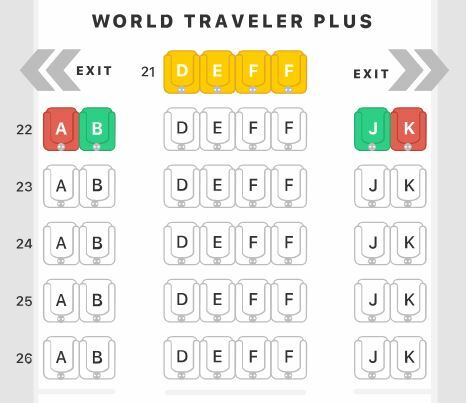 Couples traveling together might like 2E and 2F for easy conversation. On the A380, BA’s first class cabin contains 14 fully lie-flat seats with direct aisle access in a 1-2-1 configuration. The seats are 22″ wide and 78″ in bed length. 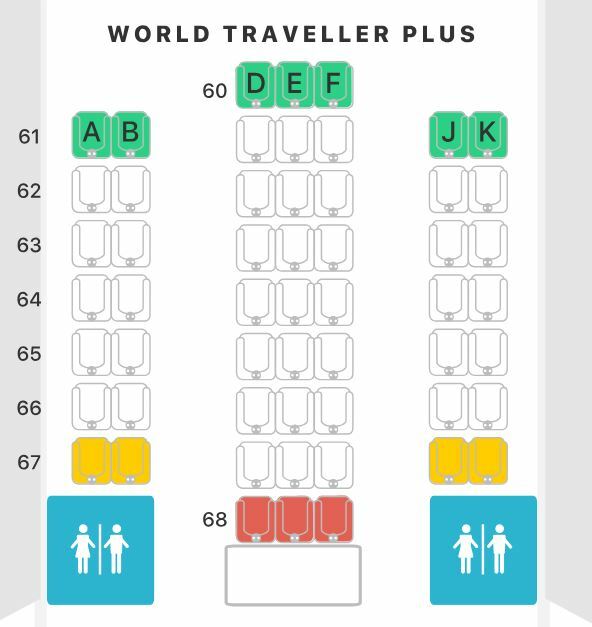 These seats are actually the same size as the 747-400 (v1) and (v2), which is larger than the 787-9 above. However, the benefits of flying on the 787-9 outweigh those of the A380, primarily due to the enhanced technology of the 787-9 and less dense first class cabin. British Airways A380 first class seat map. Image courtesy of seatguru.com. 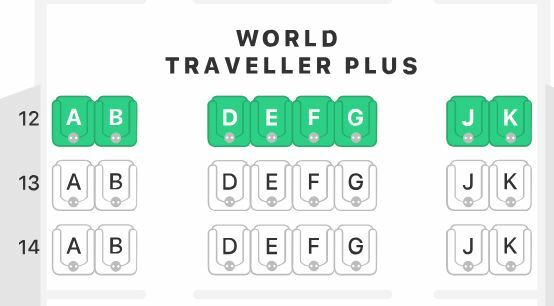 Seats 3A and 3K will be the top picks for solo travelers, while 3E and 3F are best for traveling companions. 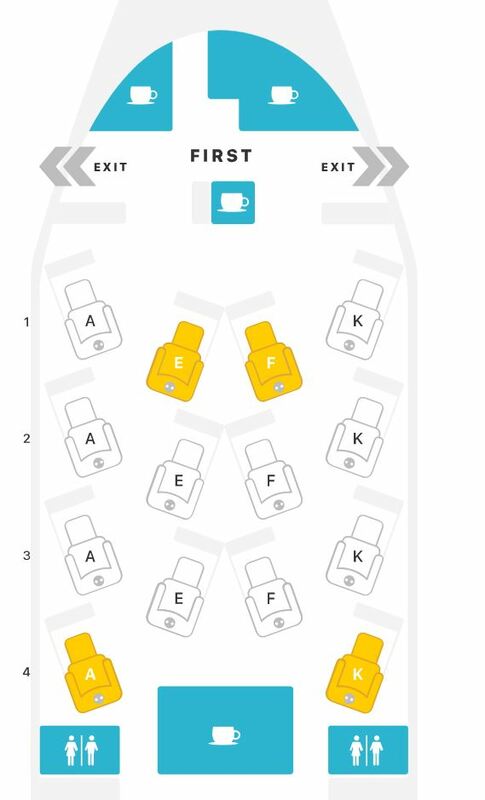 The lavatories are located at the front of the aircraft, and the galley is right behind row 4, making row 3 an excellent compromise for both of those situations. Our next product is the 777-200 (4-class) offered by British Airways. There are 14 seats in a 1-2-1 configuration, each 22″ wide and 78″ in pitch. The 777-200 is a significantly louder aircraft with less comfortable seating, and it has more facilities around the first class area. British Airways 777-200 (4-class) first class seat map. Image courtesy of seatguru.com. 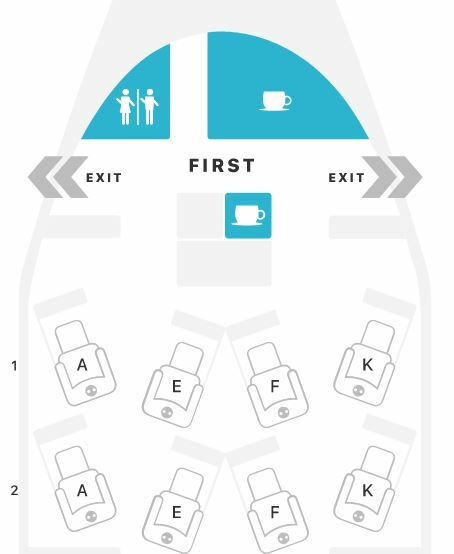 The best seats will be in either row 2 or row 3, which are a good distance from lavatories and galleys. British Airways 777-300 first class seat map. Image courtesy of seatguru.com. The unfavorable placement of facilities, older first class product, and relatively old technology of the aircraft put this particular product into last place. 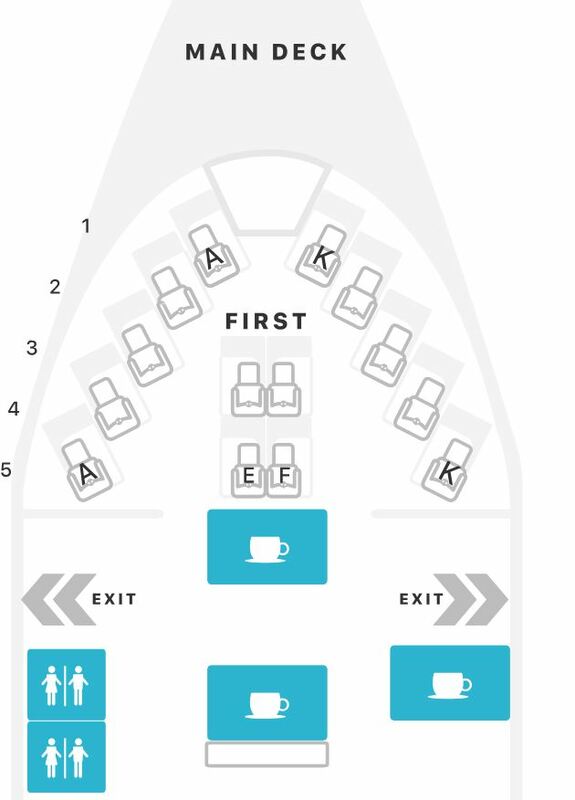 If you fly this plane, choose row 1 for the best seats (furthest from the lavatories). British Airways business class. Image courtesy of ba.com. 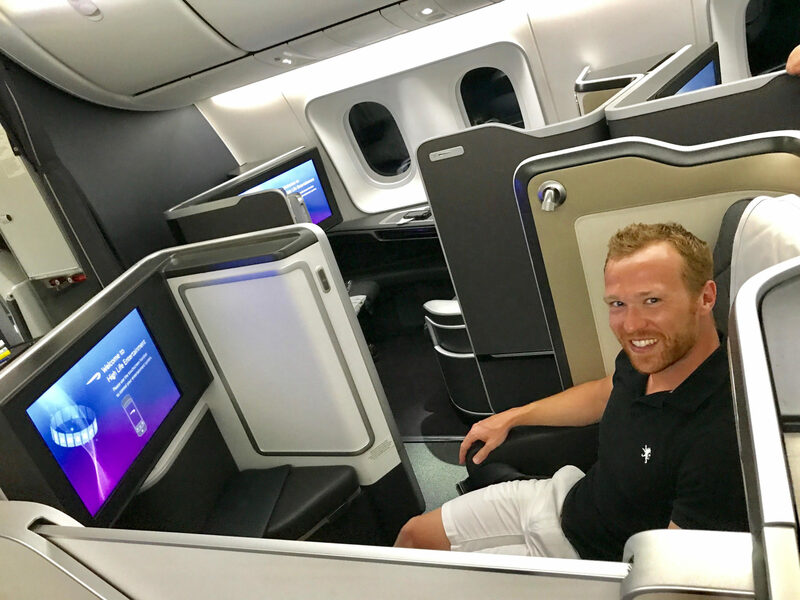 The inventor of the long-haul lie-flat seat, British Airways has many current business class options that can get you to and from the U.S. comfortably. We’ve ranked them from best to worst below. 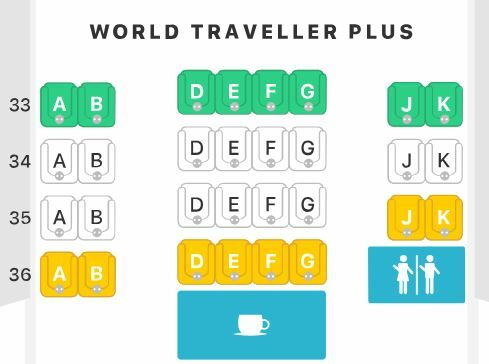 Keep in mind that their recently-unveiled A350-1000 business class seat is not included in this ranking; we’ll update when it is rolled out in late 2019. British Airways business class is dense. 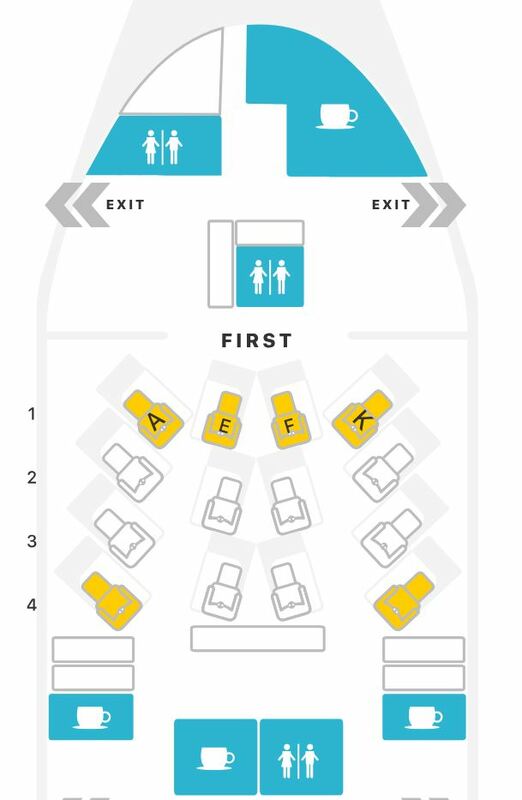 The seats are arranged in a 2-4-2 configuration with some facing forward while others face backward, though each has direct aisle access and is fully lie-flat. British Airways 747-400 (v3) business class seat map lower deck. Image courtesy of seatguru.com. British Airways 747-400 (v3) business class seat map upper deck. Image courtesy of seatguru.com. Generally, business class seats on the upper deck of the 747 will be better due to the less dense placement (no middle section). The best seats are A and K seats in rows 62 and 63 on the upper deck. British Airways 747-400 (v1) business class seat map lower deck. Image courtesy of seatguru.com. British Airways 747-400 (v1) business class seat map upper deck. Image courtesy of seatguru.com. British Airways 747-400 (v2) business class seat map lower deck. Image courtesy of seatguru.com. British Airways 747-400 (v2) business class seat map upper deck. Image courtesy of seatguru.com. The best seats are in rows 52 and 63 due to the favorable cabin arrangement and window seating. The A380 from British Airways carries a whopping 97 business class seats, each measuring 20″ wide and 72″ in pitch. Interestingly, the upper deck contains a 2-3-2 arrangement, while the lower deck has a 2-4-2 arrangement. The upper deck is much denser on the A380 than the 747-400, which is why we rank this aircraft lower. British Airways A380 business class seat map lower deck. Image courtesy of seatguru.com. British Airways A380 business class seat map upper deck. Image courtesy of seatguru.com. The best seats are in row 59, at the back of the upper deck section. 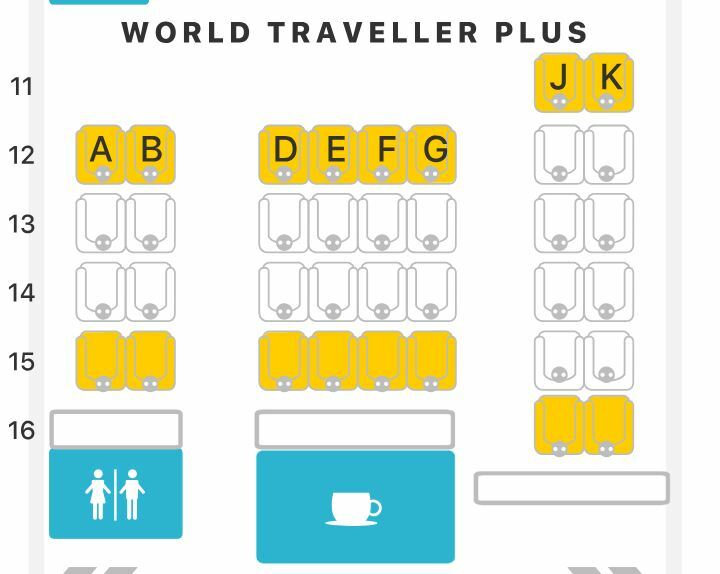 These seats are furthest away from lavatories and will have the least foot traffic near them. British Airways 787-9 business class seat map. Image courtesy of seatguru.com. 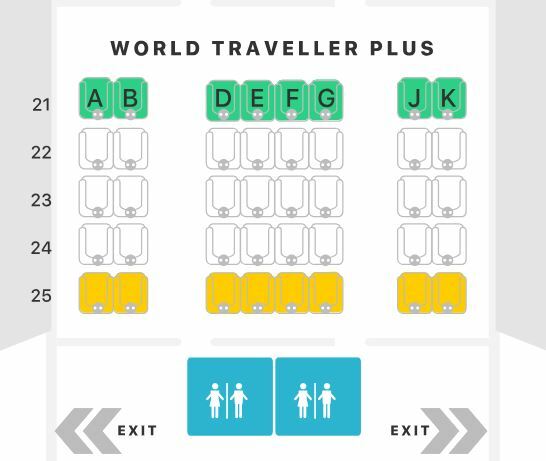 The best seats are 6A and 6K for solo travelers and 6A/6B or 6J/K for couples. These seats are far from the lavatories and located at the front of the business class section. British Airways 787-8 business class seat map. Image courtesy of seatguru.com. The 787-8 is less comfortable and less technologically advanced than the 787-9. The 787-9 is significantly newer, which is why we rank the 787-8 below the 787-9. The 777-200 (v3) business class aboard British Airways has 32 seats, each measuring 20″ wide, 73″ in pitch, and 72″ in bed length. British Airways 777-200 (v3) business class seat map. Image courtesy of seatguru.com. British Airways 777-200 (v2) business class seat map. Image courtesy of seatguru.com. 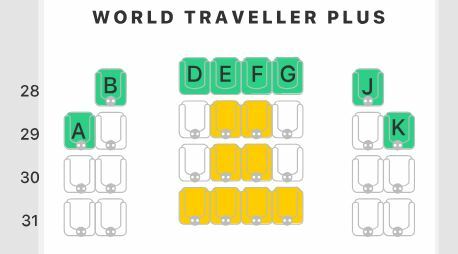 The best seats are 11A and 11K for solo travelers, and the best couples seats are 11A/B and 11J/K. 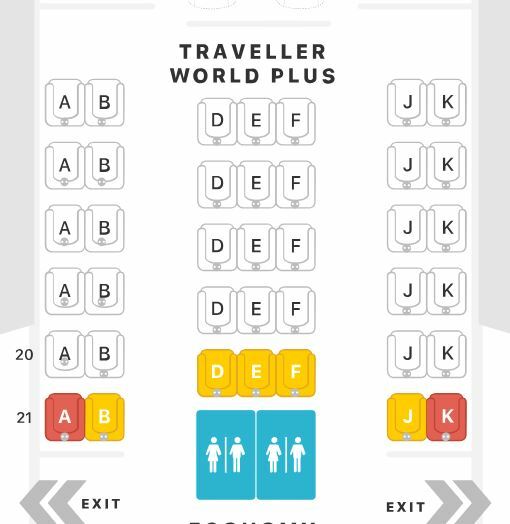 For more travelers in a group, the best family seats are 11D, E, F, and G.
British Airways 777-200 (v1) business class seat map. Image courtesy of seatguru.com. The best seats are located in the mini-cabin at the back of the business class section. Specifically, row 11 seats are ideal due to the extra privacy afforded by their placement. We will be lumping the 777-200 (4-class) and the 777-200 (modified 4-class) together, since they share the same business class product and layout. British Airways 777-200 (4-class) business class seat map. Image courtesy of seatguru.com. British Airways 777-300 business class seat map. Image courtesy of seatguru.com. British Airways premium economy. Image courtesy of traveller.com.au. For those who don’t need a lie-flat seat, British Airways has some solid premium economy options. All of these seats are identical in size: 18.5″ wide with a 38″ pitch. Thus, our ranking focuses on the number of seats, configuration, and number of preferential seat options. British Airways 787-8 premium economy class seat map. Image courtesy of seatguru.com. Our runner-up for premium economy is the A380 — it’s the quietest aircraft out there, and this not-so-dense premium economy section keeps it near the top of the pack. British Airways A380 premium economy class seat map upper deck. Image courtesy of seatguru.com. 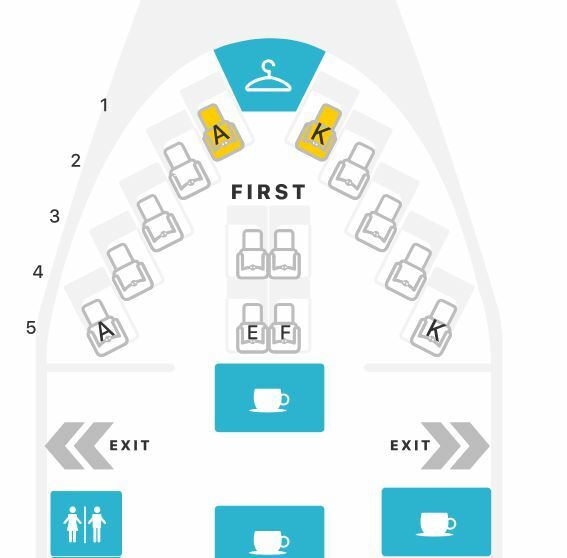 The best seats are located at the front of the premium economy section. These seats have tons of extra legroom, as there is nothing in front of them. The next products are the 777-200 (v1) and (v2), which we’ll consider together since they have the same configuration: 24 seats in a 2-4-2 arrangement across 3 rows. British Airways 777-200 (v1) and (v2) premium economy class seat map. Image courtesy of seatguru.com. British Airways 747-400 (v2) premium economy class seat map. Image courtesy of seatguru.com. British Airways 747-400 (v3) premium economy class seat map. Image courtesy of seatguru.com. There are lavatories and galleys located at the back of the section, which diminishes the number of preferential seats. You will find the best seats in row 33. British Airways 787-9 premium economy class seat map. Image courtesy of seatguru.com. The next spot goes to the 40-seat premium economy section on the 777-200 (4-class). The arrangement is 2-4-2, with the lavatories located at the back of the section. British Airways 777-200 (4-class) premium economy class seat map. Image courtesy of seatguru.com. 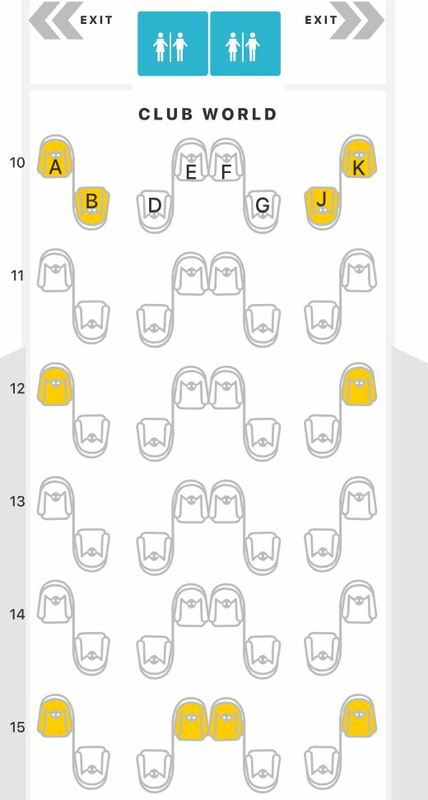 The seats to aim for are row 21, while the seats to avoid are row 25, since they are close to the lavatories. British Airways 747-400 (v1) premium economy class seat map. Image courtesy of seatguru.com. The 777-300 lags behind the other offerings due to a lack of preferential seats and the seats being relatively old. 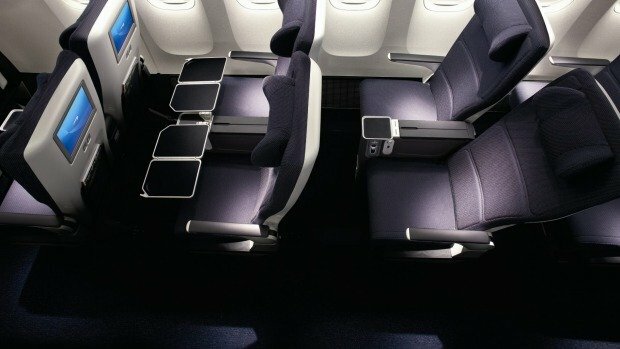 Additionally, the 44 premium economy seats make for a large section, which can diminish your privacy. British Airways 777-300 premium economy class seat map. Image courtesy of seatguru.com. British Airways 777-200 (v3) premium economy class seat map. Image courtesy of seatguru.com. There are no seats that allow for extra legroom. With the facilities located at the front of this cabin, seats in the back (row 16) will be the most ideal. British Airways economy is one of the few ways you can get an affordable flight to Europe on a full-service legacy carrier. These seats are smaller than average, but they are still reasonable for some of the prices you can get. We’ll be ranking these products based on the seat size and number/quality of preferential seats, as well as the aircraft itself. British Airways 777-200 (v2) economy class seat map. Image courtesy of seatguru.com. The best seats are row 15 and 16C/H since they have a lot of extra legroom. In addition, the seats are located at the front of the aircraft, which means you will be able to deplane first. Our next choice is the 777-200 (v3), with seats arranged in a denser 3-4-3 configuration. 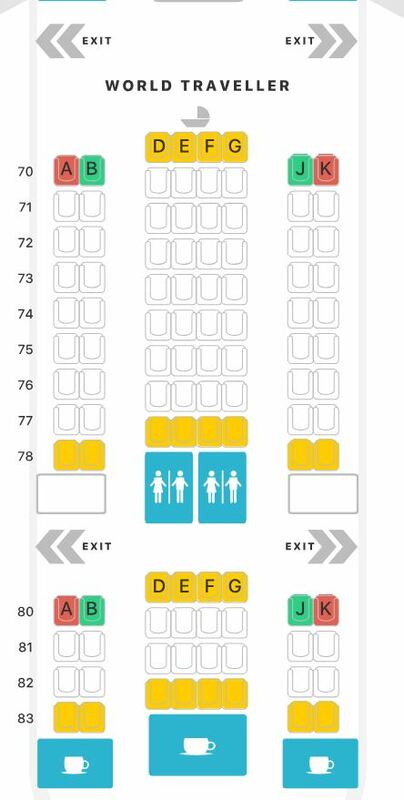 The seats are the same size as the 777-200 (v2), with the main difference being the number of seats and more crowded feel due to the arrangement. British Airways 777-200 (v3) economy class seat map. Image courtesy of seatguru.com. British Airways’ A380 economy seats are slightly narrower, at 17.5″ wide and 31″ in pitch. Seats on the lower deck are in a 3-4-3 configuration, while seats on the upper deck are arranged in a 2-4-2 pattern. 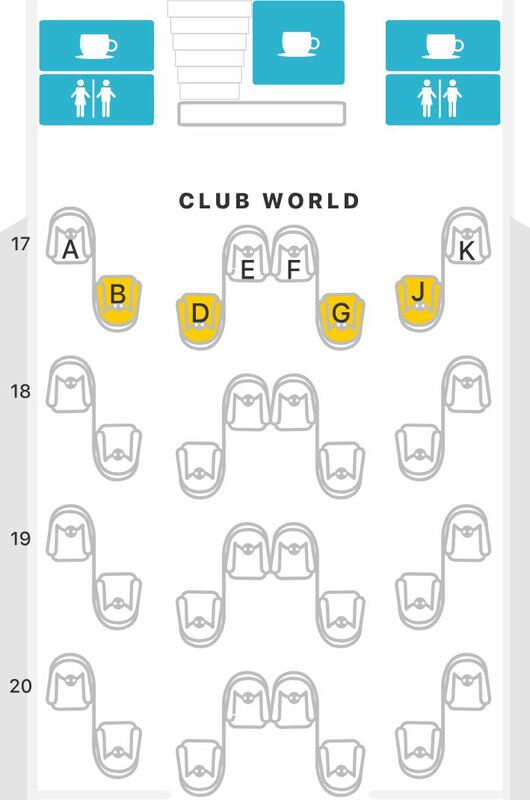 British Airways A380 economy class seat map lower deck. Image courtesy of seatguru.com. British Airways A380 economy class seat map upper deck. Image courtesy of seatguru.com. British Airways 787-9 economy class seat map. Image courtesy of seatguru.com. The best seats are in row 30, with the exception of 30A and 30K (the protrusion of the exit door will infringe on your leg space). British Airways 787-8 economy class seat map. Image courtesy of seatguru.com. As you can see, the exit row seats are located by 3 lavatories, which diminishes their quality. However, if you’re fine with the location of the lavatories, feel free to enjoy the extra legroom in row 30. British Airways 777-200 (4-class) economy class seat map. Image courtesy of seatguru.com. In this case, the exit row seats are in row 26, though the proximity of the lavatories decreases the attractiveness of the seats. Still, seats 26B-J would be best for extra legroom. British Airways 747-400 (v3) economy class seat map. Image courtesy of seatguru.com. British Airways 777-300 economy class seat map. Image courtesy of seatguru.com. BA’s 747-400 (v1) has 243 economy seats in a 3-4-3 configuration. 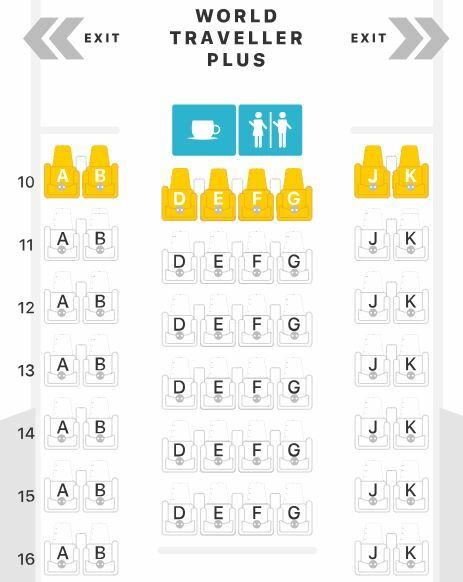 There are only a couple of truly preferential seats: 29A and 29K. British Airways 747-400 (v1) economy class seat map. Image courtesy of seatguru.com. British Airways 777-200 (v1) economy class seat map. Image courtesy of seatguru.com. 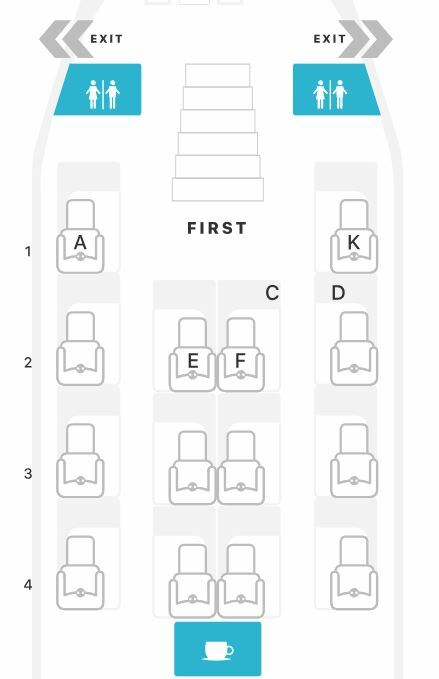 British Airways 747-400 v2 economy class seat map. Image courtesy of seatguru.com. British Airways seems to operate a gigantic conglomeration of different aircraft with no rhyme or reason as to why. Additionally, the aircraft are swapped very frequently, which can affect your inflight experience. Still, you now have a comprehensive outlook on British Airways’ U.S. routes, their operated aircraft, and classes of service, which can help you make decisions when booking. What's the best way to book British Airways first class? One of the best ways is to use 85,000 AA miles for one-way flights in first class between the United States and London. For more information, check out the best ways to book British Airways first class. What's the best way to book British Airways business class? One of the best ways to book BA business class is to use 57,500 AA miles one-way between the United States and London. Check out our guide on the best ways to book British Airways business class. What are the best ways to book British Airways premium economy class? You can use anywhere from 35,000-50,000 Cathay Pacific Asia Miles for one-way premium economy, depending on what your departure city is. You can also use anywhere from 26,000-32,500 BA Avios for one-way premium economy. The exact price varies since British Airways uses a distance-based award chart. 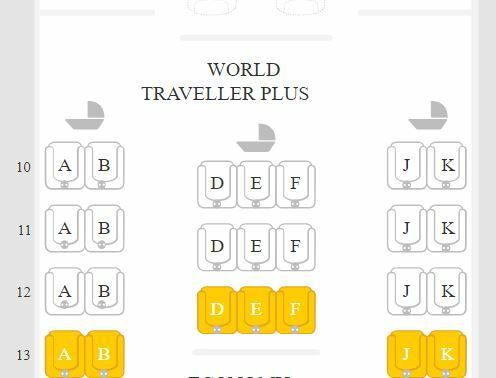 What's the best way to book British Airways economy class? The best deal is using British Airways Avios. You’ll pay 13,000-16,250 Avios plus ~$200 in fuel surcharges. This is not the best idea, since you’ll still have to pay a lot in fuel surcharges.